Calling ALL Sailors…This Saturday is the last race and post-series party for the Siren’s Wooden Boat Series. All wooden boats are encouraged to come out and enjoy a day of light-hearted racing and festivities. The race will start at noon, with a three-hour time limit, then the party will follow at 4pm at the Cupola House. Burgers and dogs, beer and wine will be supplied. Prizes for the top three racers and commemorative bronze medallions will be awarded. 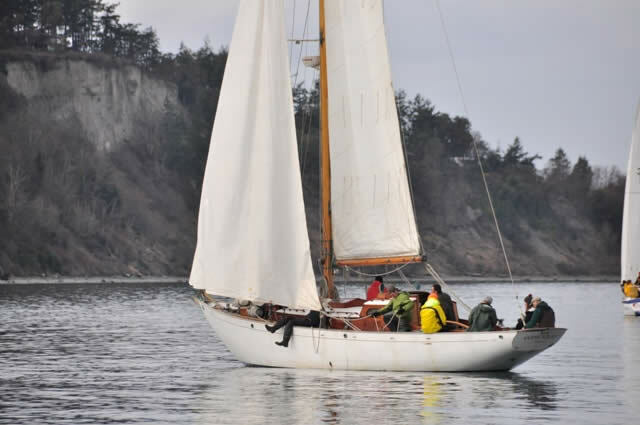 Whether you’ve participated in the Wooden Boat Series or not; whether you’re a new member, old member, or not a member at all – everyone is welcome at the party!